Alaska Airlines’ generous booking policies allow you to make one free stopover per one-way domestic award ticket, or two stopovers per roundtrip. But you also get free stopovers on award flights booked with Alaska’s excellent international airline partners, including Emirates, Cathay Pacific and Qantas. A stopover is when you make a stop on your way to your final destination that is more than four hours on a domestic flight, or more than 24 hours on an international flight. Alaska Airlines, along with its subsidiary, Horizon, flies predominantly domestic routes, but that doesn’t mean that you can’t use your Alaska Mileage Plan miles to get to international destinations. The carrier has amazing international airline partners, including Cathay Pacific, Emirates, Fiji Airways, Korean Air, LAN, Qantas and more. And if you’ve always wanted to experience over-the-top luxury at 30,000 feet, Alaska Airlines is a great option. You can fly on Emirates one-way to Dubai for 72,500 miles in business class, or, better yet, for 90,000 miles in first. Emirates’ first class cabin is worth every mile. The pampering before and during the flight is unrelenting. From Dom Pérignon and Hennessy Paradis, to a perfect beef tenderloin and caviar, the decadence of Emirates is almost too much. Not to mention the onboard bar and shower. With Alaska Airlines’ stopover rules, you can do even better. For 10,000 more miles in first, or 2,500 in business, you can fly between the U.S. and Asia, and make a stopover on the way. That means that you can start your journey in New York, make a stop in Dubai and explore the Emirates, and then continue your journey to Hong Kong, Bangkok or a half-dozen other Asian destinations served by Emirates. For the same amount of miles, you can fly to South Africa instead of Asia. That would be New York to Dubai, and then down to Johannesburg. And if you have British Airways Avios, you can easily add Victoria Falls to your itinerary, with a short flight from Johannesburg. If India’s on your list of places to see, that’s even better. 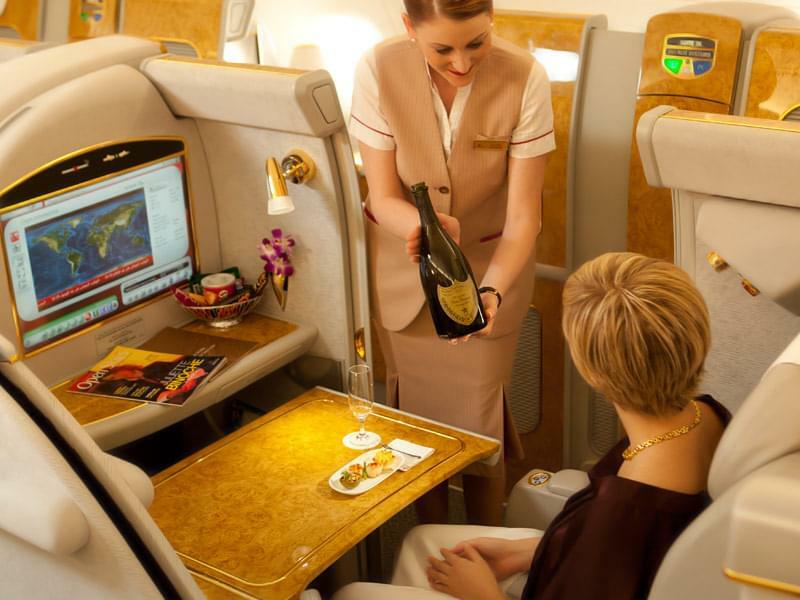 A one-way first class award ticket to India on Emirates costs the same as a flight to Dubai: 90,000 miles. You can still stop in Dubai for free. 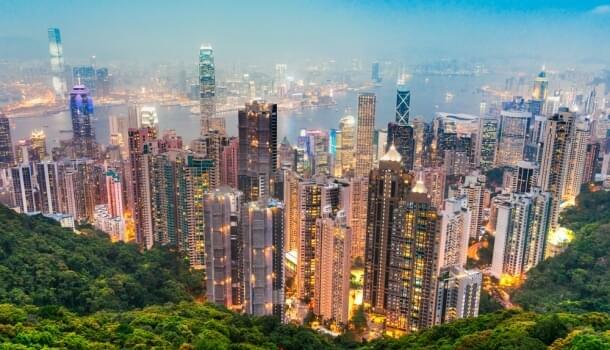 For your return flight, consider flying on Cathay Pacific via Hong Kong. Though it’s not quite as luxurious as Emirates, Cathay Pacific has fantastic business and first class cabins. Plus, it charges less than Emirates. Flights to Asia are 50,000 miles in business and 70,000 in first, and flights to the Middle East, Africa and India are 62,500 miles in business and 70,000 in first. Alaska doesn’t allow the same award to be booked on two partners, but there’s an easy work-around. Just book two one-way tickets. That will work without a hitch.